Raumfahrt+Astronomie-Blog von CENAP - Blog: Raumfahrt - Zero-g oder warum nicht? 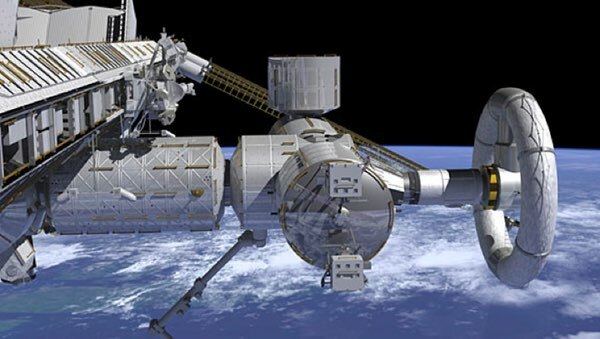 A recent article here brought space artificial gravity back into the debate forum by reporting on the current NASA cultural thinking and planning perspectives on the issue (see “The weak pull of artificial gravity”, The Space Review, October 31, 2016). Lack of further investigation into artificial gravity and its effect on the human body is indeed the equivalent of the ostrich’s head in the sand. The responses by NASA executives at the International Astronautical Congress (IAC) calls to mind cartoon images of an ostrich’s head in the sand, hoping like crazy that by not looking at it, or acknowledging it, the problem will disappear on its own. Phrases like “not a problem” or “solved problem” ignore that humans evolved in a gravity well. All our cells, biochemical processes, and biological systems are designed to work in the presence of this acceleration. It is a reasonable, logical, and scientific assumption then, that living in a place without gravity would in fact negatively impact the workings of the human body. Exercise protocols have been shown to control, but not eliminate bone loss, vestibular impacts, or muscle wasting. Swimming in a pool the day after returning to Earth, where buoyancy counters gravity impacts, may sound impressive, but provides unjustified evidence to support that the exercise protocols applied in space are sufficient counters to the effects of microgravity. Lack of further investigation into artificial gravity and its effect on the human body is indeed the equivalent of the ostrich’s head in the sand. Exercise, drugs, and mechanical devices may attempt to treat some of the symptoms but does not address the underlying problem of providing a human-healthy environment. I do agree with Bill Gerstenmaier, NASA’s associate administrator for human exploration and operations, that improperly putting artificial gravity in one section of the spacecraft could actually make matters worse. With astronauts making trips back and forth between gravity and microgravity, their bodies will undergo regular readaptation to weightlessness and gravity. It is very possible this could trigger reoccurrences of space adaptation syndrome. This argument alone, though, should not be a license to ignore artificial gravity, but rather spur us to consider engineering design alternatives that address the fundamental human health factors involved. While still a graduate student in the early 1980s, I identified and began to investigate this very question of repeated gravity-to-microgravity transition. At that time, we still had to use the card catalogs in libraries and were just beginning to realize the potentials for inter-library telephone modem-linked computer topic searches. Having been exposed to a lecture at our school by Gerard K. O’Neill, and after obtaining a copy of the 1977 Summer NASA Ames Space Settlements Design Study, I realized that to fully exploit the possibilities and potentials of microgravity, space settlers would need to go back and forth from their gravity home to microgravity work places on a daily basis. Like Gerstenmaier, I could see that perhaps the problems of space adaption syndrome could become a real problem to space colonists. But unlike Gerstenmaier, I postulated that perhaps the onset of space adaption syndrome might be related to the magnitude of change in acceleration between earth normal and microgravity. In other words, maybe partial gravity could dampen, or perhaps be used to train, the human body’s systems to better tolerate and adapt to this shift in acceleration. 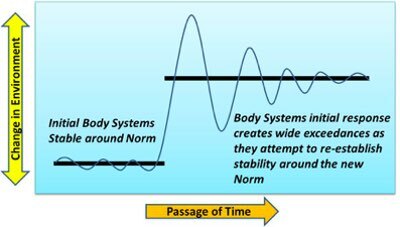 Having biology training as one of my degrees, I remembered that the body reacts to conditional stimulus by adjusting its body systems to establish appropriate homeostatic balances. If graphed, these adjustments would look like slowly dampening sign-waves about the new conditional norm. Depending on the person, the magnitude (and consequences) of these adaptive swings and the time it takes to dampen out these adjustments vary. During my literature research on this investigation, I realized that there might be relevant data on this question that had been collected on Apollo Moon missions. I found a contact at NASA Johnson Space Center who graciously took a call from me and provided information that none of the astronauts returning from even extended lunar surface stays experienced any notable recurrence of space adaption syndrome. This was true for even those astronauts who had rather severe initial space adaption sickness onset after launch. If humankind is to ever establish economic and cultural space beachheads in space and then permanent space stations and colonies, artificial gravity must be a fundamental part of our space research programs. Unfortunately, without access to a microgravity lab or the means to go beyond literature research, I turned to consideration of the parametric impacts on space habitat design impacts of lower partial gravity configurations. This resulted in an internal seminar paper for one of my Masters courses. It showed that partial gravity could have rather dramatic impacts on mass, power, and overall structural stress requirements for space stations with centripetal (rotating) artificial gravity. Though obvious to most experienced systems engineers at the time, it was my first practical introduction to the realization that design performance requirements changes can have significant system design impacts. Perhaps the NASA follow-on Moon and initial Mars exploration transport missions can indeed use extended exercise protocols as one set of a wider regiment of methods—perhaps in conjunction with partial gravity—to help counter the negative effects of microgravity. Nevertheless, if humankind is to ever establish economic and cultural space beachheads in space and then permanent space stations and colonies, artificial gravity must be a fundamental part of our space research programs. Ignoring it will likely be at our own the peril of future space generations.